Can you fit a cloud on your laptop? But you can mock up basic cloud services, such as those for a shopping cart application, on your PC so you can see how the Web app you are working on will interact when it eventually reaches out and touches the real cloud, says says Chris Kraus, product manager for iTKO, the testing software vendor, which offers tooling for recording or mocking cloud services. He sees growing interest among customers for the personal cloud concept, allowing developers to code and test Web applications that will eventually interact with services in the cloud. Cloud services on a PC provide two major advantages for developers during coding and testing, he says. 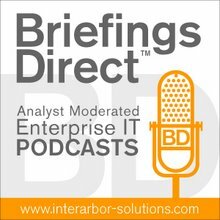 [Disclosure: iTKO is a sponsor of BriefingsDirect podcasts]. First, the developer working on a cloud application is free to work anywhere, anytime regardless of whether the real cloud services are available or accessible. If a cloud service for a shopping cart is down for some reason, developers are not impacted since their version of the service is on their laptop. They can also code when they are on a plane, or in another environment with no access to the cloud. Second, although this is probably first in the minds of budget conscious IT managers, the developer is not running up charges for accessing the cloud services, Kraus says. Mike Gualtieri, senior analyst at Forrester Research, also sees value in the personal cloud concept. In a recent post on his blog, Developers Need A Personal Cloud, the analyst also sees the value, in terms of portability. One commenter on Gualtieri’s blog suggests this concept might be dubbed "local virtualization." I had an intriguing chat with HP's Jeff Meyers and iTKO chief scientist and co-founder John Michelsen last month at HP's Software Universe conference. The confluence of SaaS and cloud with application development and the test phase is changing rapidly, we observed. Compressing the test phase into the development and production becomes more feasible. And as virtualization becomes more common, building an application or service in its own runtime stack bubble from inception to sunset starts to make sense. OSGi fits into the vision nicely. And while we're combining all the elements of an application and platform from cradle to grave, why not tune the whole package before, during and after development too ... then load the entire package as a portable cloud-supported production unit? Now, that's a "personal" cloud (I prefer cloud service nodule), but with high service performance output, and far less time in cost in the total lifecycle. Higher overall quality too. What do you think?